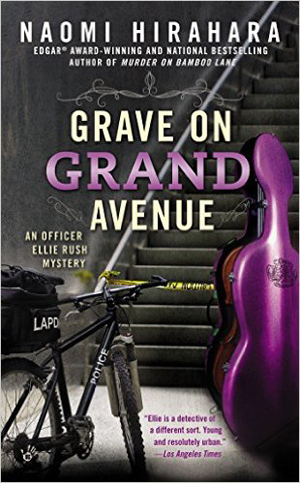 LAPD bicycle cop Ellie Rush is back and on the case in this second installment of her eponymous mystery series. This time around, the half-Japanese aspiring homicide detective finds herself in the middle of a possible international incident when a gardener for one of the city’s premier concert halls is found at the bottom of a staircase, accused of trying to steal Chinese superstar musician Xu’s multimillion-dollar cello. What follows is a series of events that lead to Xu’s disappearance and Ellie’s rush to find him after the gardener dies. Just like its predecessor, “Grave” is a strong mystery that will have readers guessing ‘whodunnit’ the whole time. Despite being ‘just’ a bicycle cop, it’s clear that Ellie takes her job seriously and makes it no secret where her ambitions are set. She is not deterred by the obstacles and resistance she faces as a relatively new member of the police force and the niece of LAPD’s assistant police chief. Ellie is determined to find the killer and his or her motives — as well as what happened to Xu. If that weren’t enough to deal with, Ellie also gets into a fight with her best friend Nay Pram that leads to the two not speaking for some time. In addition, Ellie’s 1969 Pontiac Skylark — which was given to her by her paternal grandmother — winds up stolen, leading to a number of family secrets being revealed. Hirahara balances the story’s mystery element well with the everyday challenges Ellie faces when dealing with her loving — though sometimes overly involved — family. The big secret that is revealed changes a number of dynamics within the Rush family and despite some of the infighting it causes, we see the family eventually come together. They are not perfect and Hirahara makes it clear Ellie will always have family drama, but what family doesn’t? On the day Inspector Ashwin Chopra retires from the Mumbai police force, he inherits two things: The first is a case of a drowned boy who has died under suspicious circumstances that no one wants to solve. The second is a baby elephant. The former sets Chopra on a path that leads him across Mumbai, from its fancy high-rises to its greatest slum to its new shopping malls (much to his dismay) — and deep into the city’s underworld. As for the elephant, the retired inspector wonders what his favorite uncle was thinking, bequeathing him such an animal when he lives in a crowded apartment building and doesn’t know the first thing about taking care of the (relatively) small pachyderm. Chopra was forced into an early retirement following a heart attack and a doctor’s recommendation that he reduce the stress in his life. Despite his new retired status, Chopra continues to investigate the death of the drowned boy — initially struck by the boy’s mother’s comments about how his death is not deemed important because his family is poor. 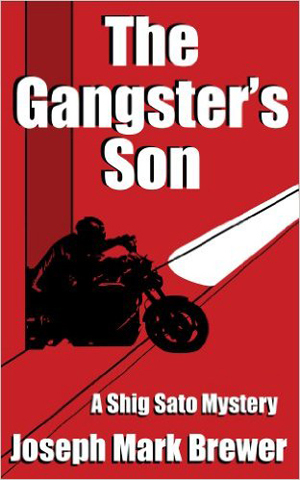 As he uncovers more and more clues, Chopra learns the true reason the boy’s death is being swept under the rug. And it’s not pretty. Although the case is serious and is treated as such by Khan, the story is balanced out by Chopra’s other inheritance, which he names Ganesha in honor of the Hindu god. Chopra and his wife Poppy’s adventures in figuring out what it means to raise and take care of an elephant will have readers laughing out loud. The scene in which Poppy takes it upon herself to bathe and clean up Ganesha is my favorite in the book. 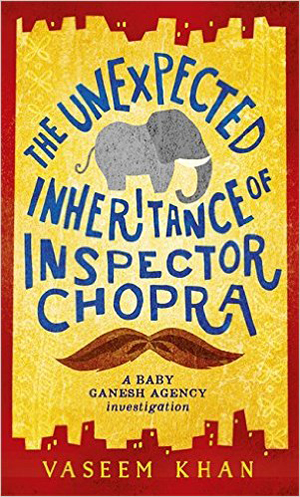 “Inheritance” is the first in a new series chronicling the partnership Chopra and Ganesha form and the adventures they go on and the crimes they solve. It is strong beginning to what promises to be an even stronger series. On a hot summer night in Tokyo, a young waitress is found murdered in an alleyway behind the jazz club where she worked. Tokyo police’s Inspector Shig Sato is the detective assigned to run the investigation. Initially, it is thought that the girl’s boyfriend, a U.S. Marine who has gone missing, is behind the murder. But then Sato learns that the club is owned by none other than Jun Fujimori, son of Ses Fujimori, Sato’s childhood friend who also happens to be a notorious yakuza boss. Throughout his career, Sato has been known as an honest cop and a straight-shooter. Nobody knows his and his family’s ties to the Fujimori clan, who took care of Sato’s family when they hit hard times after his father died in World War II. But when it becomes clear that Jun is the top suspect in the waitress’s murder, Sato must figure out how to bring him to justice while not forgetting the debt he owes the Fujimori family or letting any of his colleagues know about the families’ connections. On top of all that, Sato’s former partner is gunning for him, trying to find a link between Sato and the yakuza in hopes of taking away Sato’s upcoming retirement pension. à¸žà¸¹à¸”à¸§à¹ˆà¸²:More than once of getting the particular pc pass away could cure this dream.In reality: you have to prevent your notebook billed.Yes, one of the earmarks of having a notebook is actually you could get anyplace; no involve that you remain slammed on the divider. I can just imagine how excited their mom is going to be. She has come darn cute kids. Erin, I’m remembering when you and Britt got the family together for a photo of you kids for Dad and me. We were out of town at the time. I still think about that and how surprised and happy it made me when you gave it to us for Christmas. Erin, you can tell that the family was having a good time. Everyone is relaxed and natural. That has a lot to do with the photographer. This is a timeless treasure. With all these silly weisetbs, such a great page keeps my internet hope alive.